We saw as much as we could in Perth and so decided to explore the outer regions. 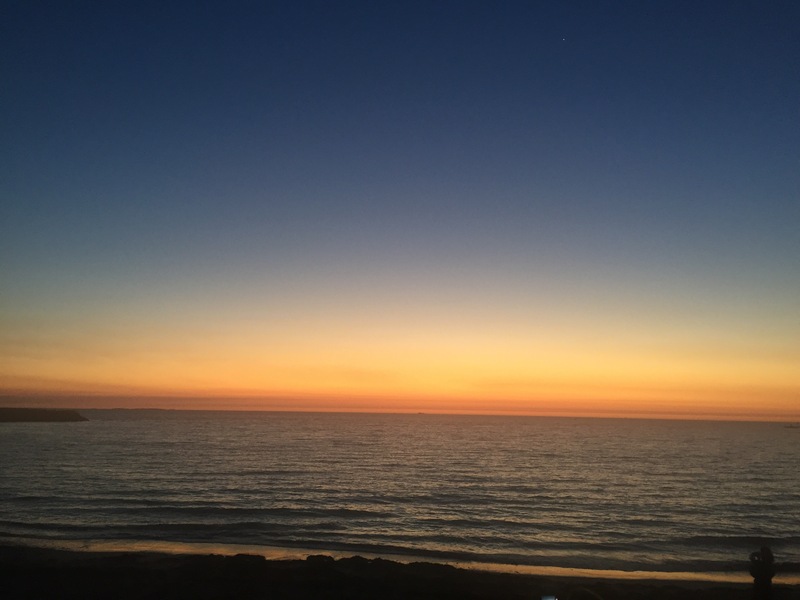 Still a boat or train away – not venturing out of the west just yet – it definitely gave us a flavour of some of the great things Western Australia has to offer. 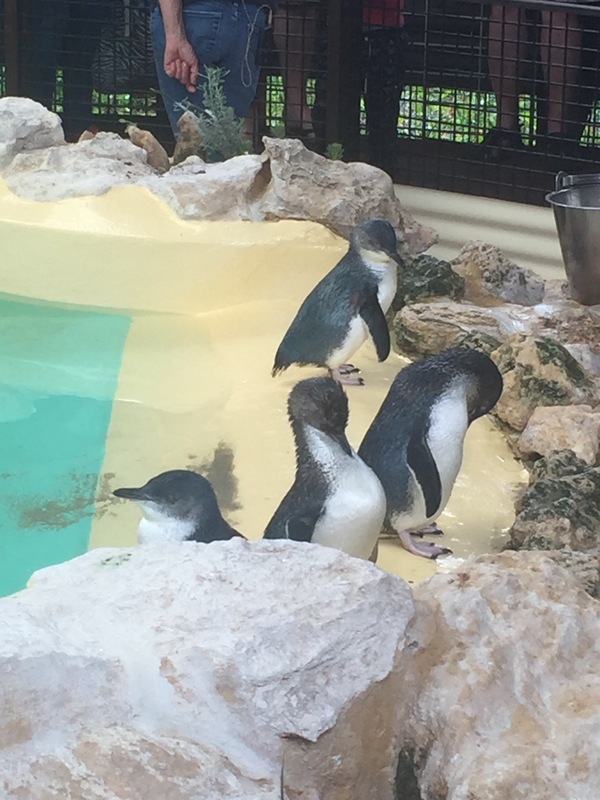 One of the places on our list to see was Rockingham as it has Penguin Island. Penguin Island is the home to wild penguins and is also a place to see seals and dolphins (if you have the money for the more expensive excursions – we didn’t with being on the start of our trip). I had only ever thought of penguins in the arctic until a few years back when David Attenborough opened my eyes to Australian penguins. So, naturally, we had to go see them for ourselves. We decided to have a bit more comfort (I know it’s been less than a week since we left but we want to make the most of these opportunities while we can) so we booked a place on air b’n’b. We couldn’t have asked for better hosts. Darren and Lyn had a lovely place and were very accommodating. Lyn made our trip to penguin island hassle free by dropping us off and picking us up from the ferry and that evening, after they had come back for a meal, they invited us in for drinks and a chat. We couldn’t have felt more welcome! 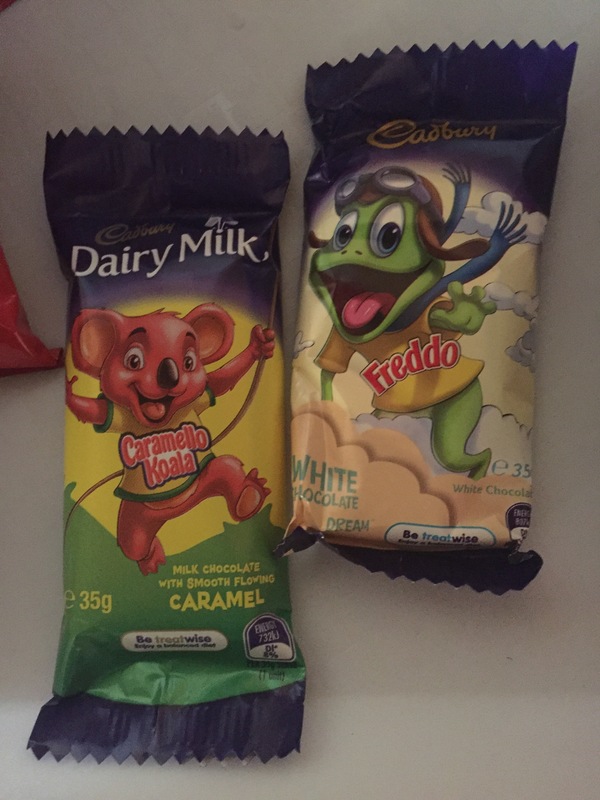 I also liked that the room included Australian Freddo’s (a caramel koala and a white chocolate dream freddo – yes Australia still has dream chocolate!) but that was really just the icing on the cake. Rockingham is a lovely seaside town. We stayed in one of the suburbs which looked like it was out of the TV show neighbours (I loved this!) and it was around 10 minutes walk from the beach. The ferry cost around $25 to get there and back and see the penguins being fed. The island itself is very picturesque and is the home to a bunch of different birds. It’s pretty noisy – the birds don’t really like you being there – but it’s a nice walk around. I imagined penguin island to be covered in penguins, because of the name I saw this as a logical conclusion to come to. Turns out that’s not the case. It’s spring here so, although there are loads of baby birds of different species, the penguins are either out hunting during the day or burrowed in nests, hiding away. The island isn’t massive so we got around the whole island in about an hour. The views out to sea are so pretty, it made it worth it just for that. Once we were back on the mainland, we headed for the beach to try paddle boarding. This was a lot of fun and very easy to pick up – we recommend it. As you can see from the picture, the boards are enormous! It had gotten a little windy so the man in the shop said it would be a bit more difficult as the current would force us down the beach but we still had a great time. I was surprised by how good my balance was (people who know me will know that’s not normally the case) and, although Niall was probably faster than me, I wasn’t falling in like he was. Niall fell in quite a few times which was very funny, unfortunately my Go Pro wasn’t working properly so I couldn’t capture these moments on camera for you all (I’m sure there will be other opportunities for us both). I only fell in once when, I’m assuming from the frustration of me gloating that I was better than him, Niall pushed me in! 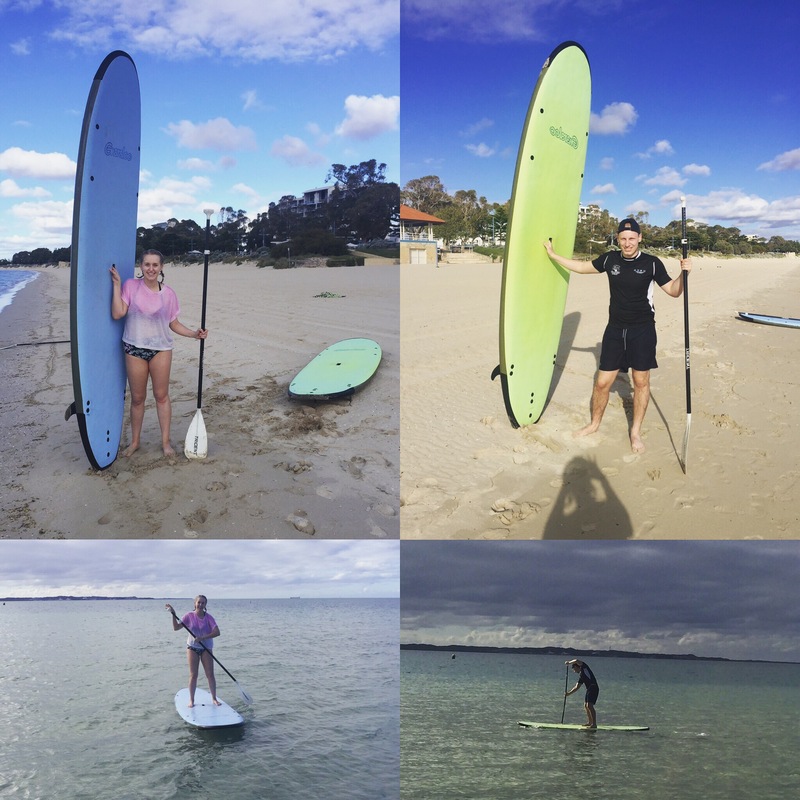 Paddle boarding was really good fun and definitely something we would do again. Fish and chips on the beach was a must to finish off this great day. 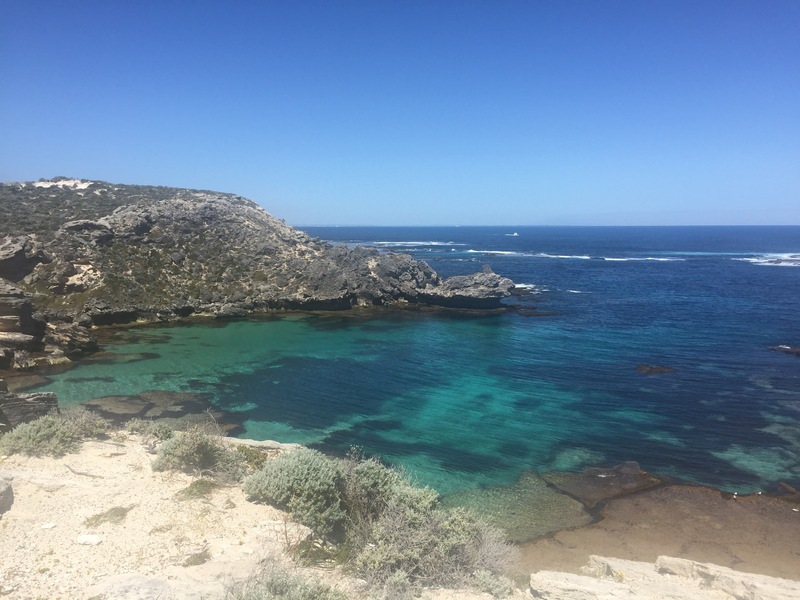 Rottnest Island was our next place to explore. This is a popular holiday destination (I guess a bit like Centre Parcs or a sunnier Seahouses) for western Australians. It’s not hard to see why, this place is gorgeous!! It costs quite a lot to get over there and takes a couple of hours but is worth it all. 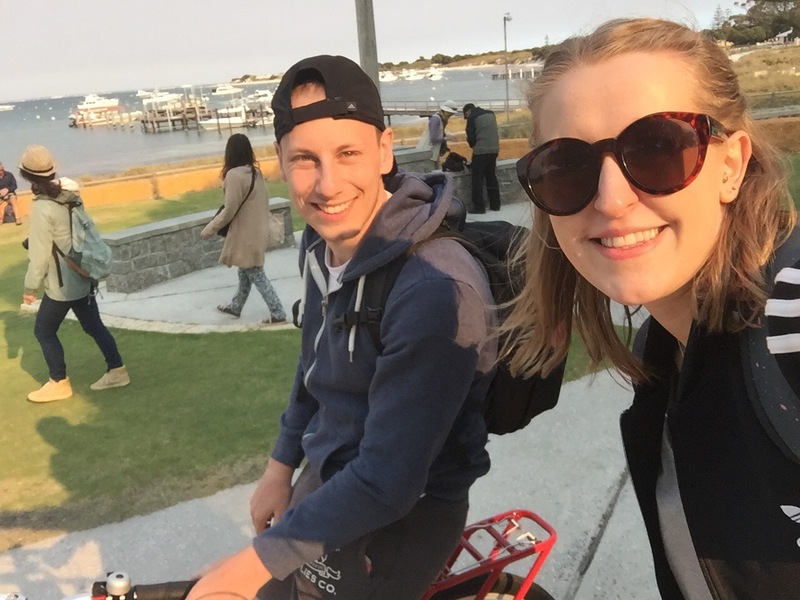 The thing to do is hire bikes to explore the island. Be warned! This place is very hilly and there aren’t many water points on the island so, if you don’t know to ration your water or stock up (which we didn’t), you get pretty thirsty. Although tiring, we wouldn’t have seen the full island without the bikes. There is a bus service around the island but we wouldn’t have considered that (we always try walking if we can) so it’s not the be all and end all if cycling isn’t for you (saying that, I think Niall would opt for the bus if we ever went back!). We were also lucky that we had really nice weather, still a breeze which was welcome with us cycling around but nice and sunny and clear skies so we could see pretty far out to sea. As well as the pretty views and unexpected, intensive exercise, the highlight of our day here was the wildlife. At West End, the most western point of the island, we saw seals, whales and dolphins! The seals were sunbathing in a bay below us and the whales and dolphins were further out to sea – you had to watch for a fin or a spurting burst of water and a tale fin to see them! We were really lucky – even as we were sitting there they seemed to swim out of sight. Probably the star of the show on Rottnest Island is the Quokka. This is a little mammal that is around the size of cat. They are so, so cute and very friendly, it’s actually advertised that you can get a selfie with one! We saw them all over the island and, by using a little bit of our sandwiches, we were able to get some pretty great pictures with them! Our favourite bay on the island also comes with a little bias. Geordie bay was peaceful with gorgeous white sands and lush blue sea. We loved it here and could see, even more, why western Australians come to spend their holidays here. 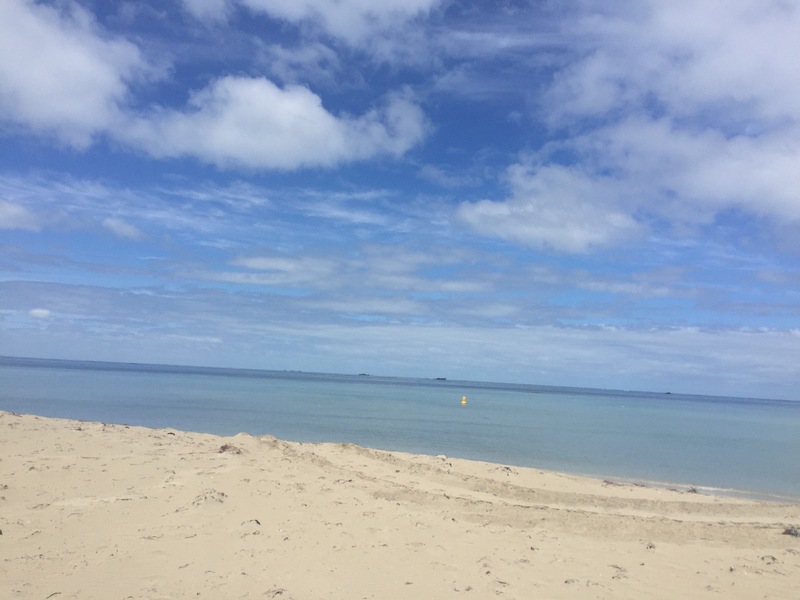 Although it does cost a bit to get over to Rottnest Island it’s definitely worth the money and, if you’re able to afford it, I would stay a few days so you can enjoy the snorkel trails and nice beaches – a must when you’re in Perth. Fremantle was the last place we explored during our week in Perth. We had heard good things so went their on Saturday afternoon. Fremantle is a port but also known for its weekend markets. We struck lucky with the weather and were able to enjoy a day in the sun while looking around. This place is around half an hours train from the city centre and seems to be where a lot of people go for the weekend when the weather is nice. The buildings are pretty and there are a tonne of fish and chip places along the harbour. 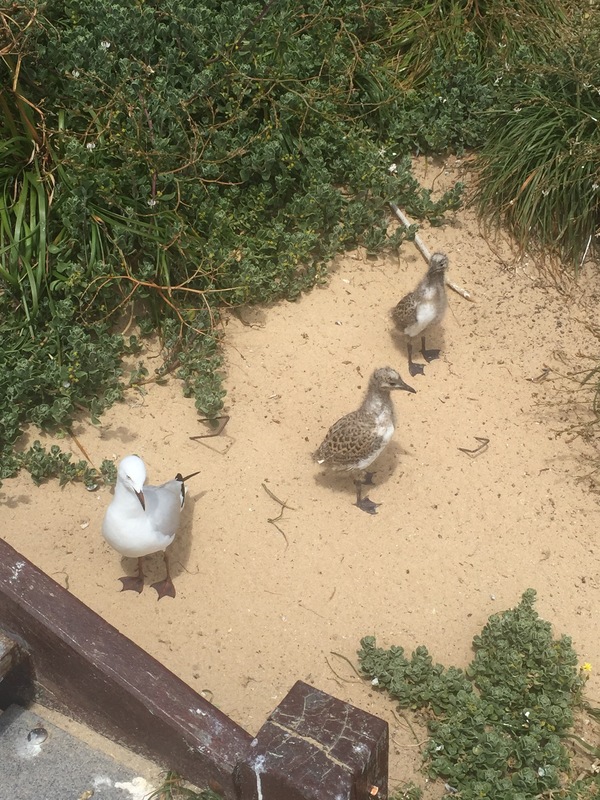 The seagulls at the fish and chip places are very determined to steal your food. While we were there a seagull knocked over a man’s beer and tipped all of his chips onto the floor. That then led to a frenzy of seagulls fighting over the food. Made Tynemouth seagulls seem pretty tame! The Fremantle markets are very impressive. It reminds me a bit of the Camden markets, if you’ve ever been. They sell everything from soaps, clothes, chocolate and fruit and have loads of food stands to grab things for your lunch or tea. It’s definitely better to get their on the weekend when these markets are open, you could spend ages looking around at what’s on offer. Fremantle also has a beach which is overlooked by an old jail. This is a roundhouse and was apparently a pioneering jail of the time. The round design was more efficient for looking out over the entire prison. Prisoners were well looked after and fed and their wives and families were even given an allowance to make sure they could buy food so as to prevent more crime (i.e. the wife having to steal to feed her family while her husband – the earner – was in jail). The beach is called Bather’s Beach and it’s a nice little beach. We relaxed here a bit and while we were there a Hen Party came onto the beach. It was quite funny watching them, I bet its quite a common Hen Party spot – must be nice not having to fly out of the country to get the sun and sand! 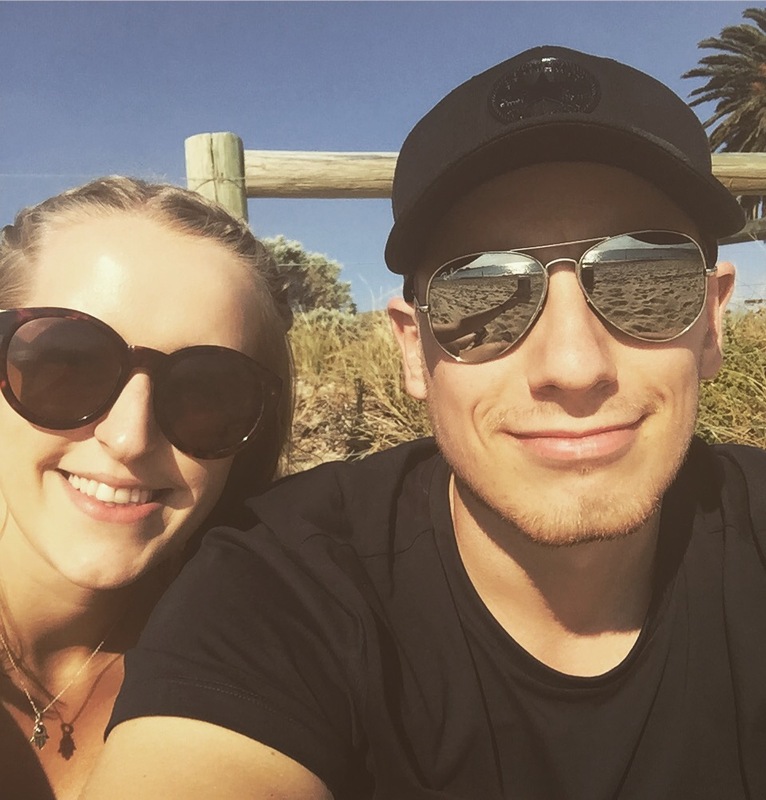 We then went to a local brewery called Little Creatures for a drink to watch the sunset – something that was recommended to us. One of the best things about that day, and what we ended our time in Fremantle with, was the sunset. The brewery didn’t have the best view so we headed to the beach and I’m so glad we did! I don’t think I’ve ever seen such a pretty sunset. It’s obviously the thing to do there as the beach was filled with people all watching the sun go down, made me feel pretty lucky that we’re getting to see such beautiful things on our trip. 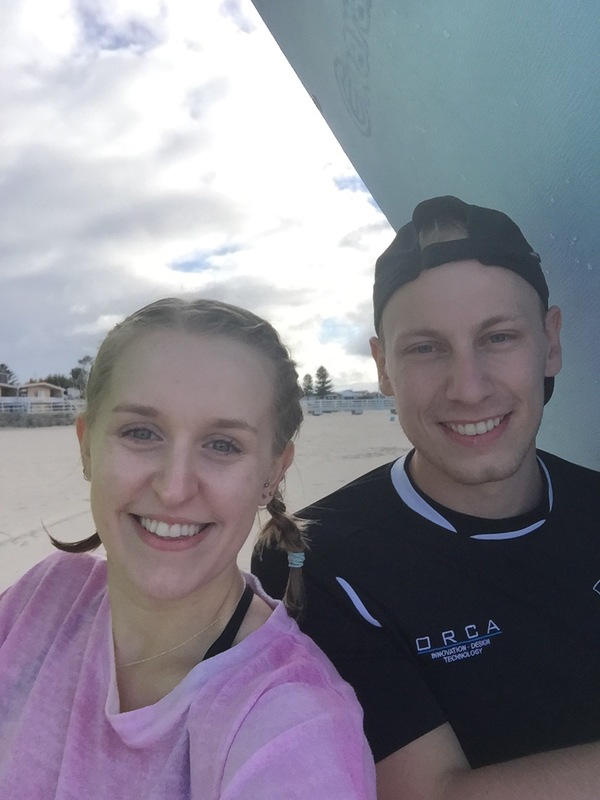 We couldn’t have asked for a better time in Perth and the outer regions. We have been really lucky to see everything we have gone to see, especially in terms of the wildlife. It’s definitely been a great start to our Australia travels.